I’ve never been as stumped by a travel question as much as how to get to Colonnata. I know you must be confused. How could it possibly be difficult in this age of the internet to find transport to an Italian city – especially in Tuscany. Colonnata is no ordinary city, it’s actually not a city or a town, it’s so small it’s actually a hamlet. And this hamlet was on our radar. 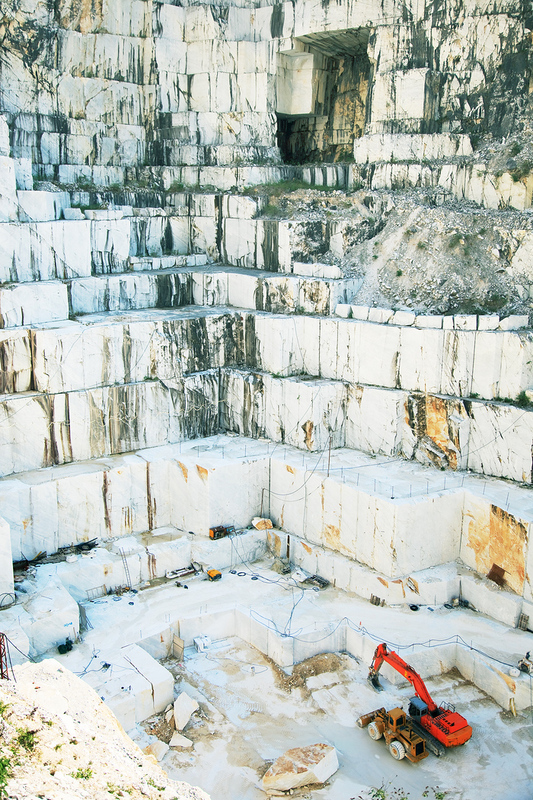 People have been quarrying “Carrara” white marble from Colonnata since 40BC and unbelievably there’s still marble left! So if you’ve ever been in a bank or institution around the world that has white marble it’s quite likely that it came from Colonnata. It’s beautiful and it’s everywhere. 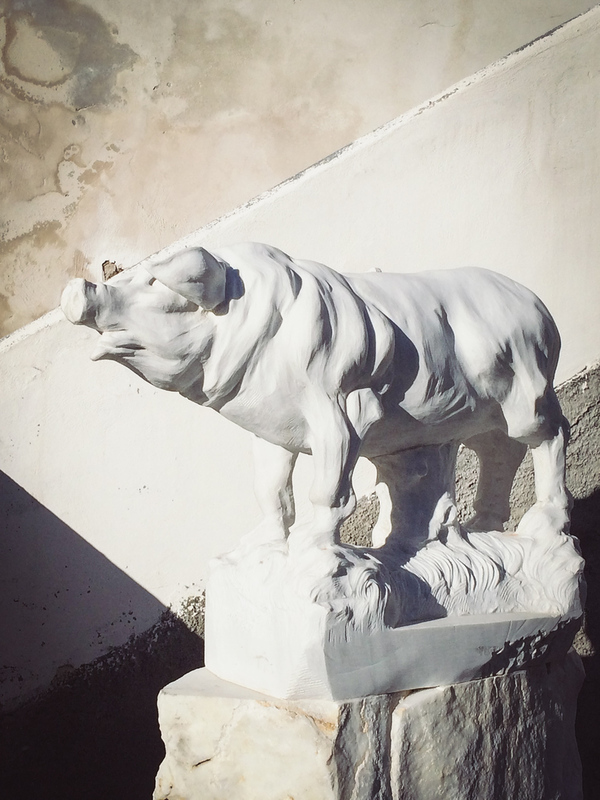 Marble is beautiful and Colonnata’s primary source of income, but the region also has an abundance of chestnut trees which are perfect for breeding pigs. 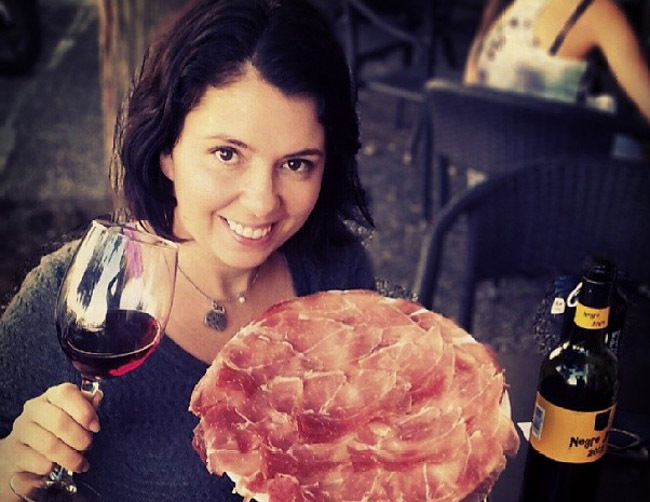 Over generations Colonnata has become the number one producer of lardo – cured pork back fat. 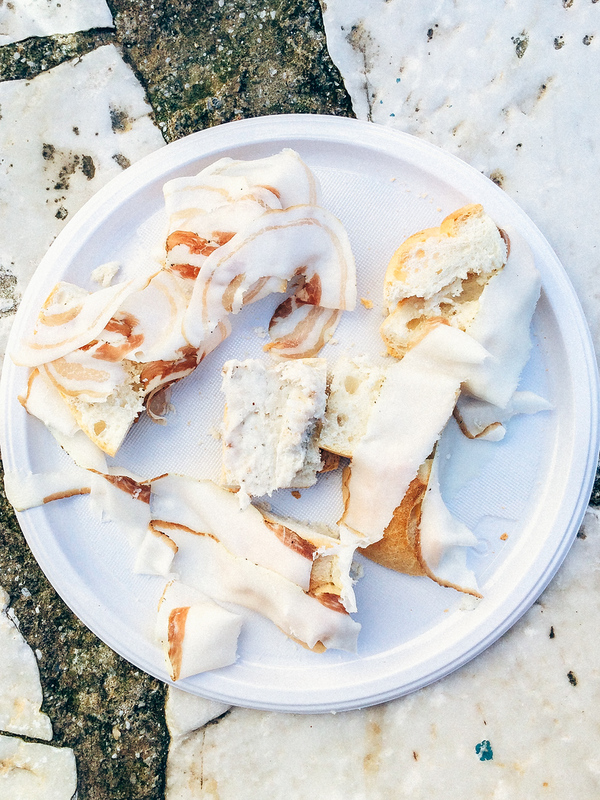 Lardo is cured here in marble for 6 months and while it was once a cheap snack for the miners, it is now one of the world’s delicacies. So you can see why on our meatcation it was absolutely necessary for us to visit Colonnata, even though it was far North and not close to anything else we planned to see. I was the designated travel planner and I had no idea how to get there. 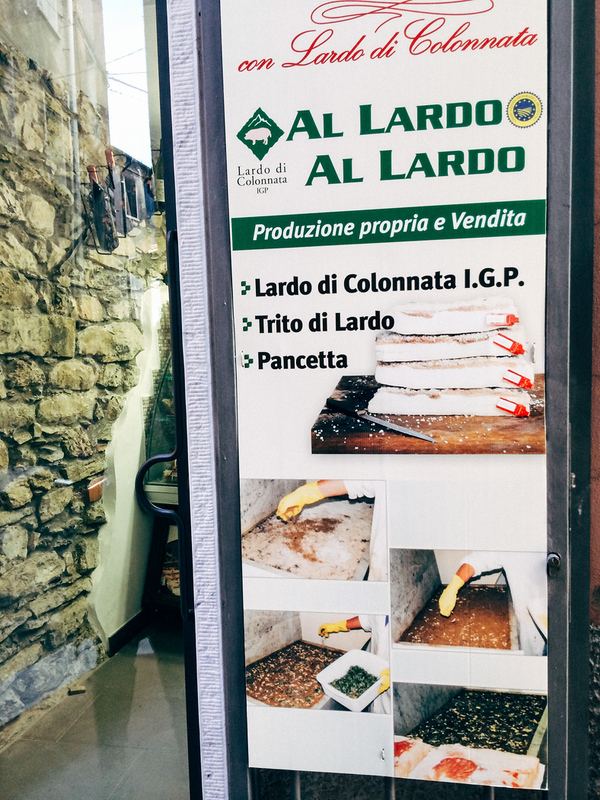 I asked all my Italian friends like Andrea, Diana and Denis, everyone knew about Colonnata and said the lardo was amazing but no one had been there. And while Dave calls me the internet detective because I can find everything online there appeared to be no information on how to get to Colonnata. Fortunately Dave is easy going so we just decided to take the train north and figure it out, afterall we had a Eurail pass so why not. Looking at the map it seemed that Colonnata was a small hamlet in the region of Carrara and the train went to Carrara…but which Carrara? There is Massa Carrara, Marina di Carrara, Avenza Carrara and regular Carrara. Knowing that Colonnata had only 300 inhabitants we also didn’t know if there were any hotels. It was extremely confusing and frustrating as there was zero information on the internet but we’re going to change that with this post, here’s the deal with how to get to Colonnata. 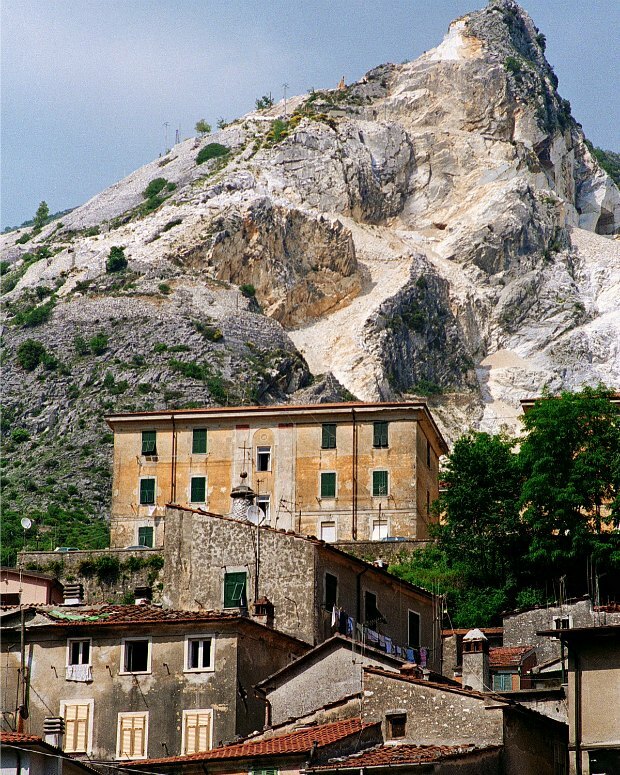 From the town of Carrara it’s only a 20 minute drive north east to Colonnata. You can easily rent a car but it’s absolutely necessary to reserve in advance. We tried to rent a car while there and because it was off-season all the rental agencies were closed and no one spoke English. There are many signs to help you along the way and Google Maps is a must – although at some point up the mountain cell service ends so make sure you have a good grasp on directions. This is how all the locals get to Colonnata. The bus runs every 90 minutes from Via Minzoni in Carrara and takes about an hour. We arrived in Colonnata in off-season to discover that our hotel couldn’t advise us how to get there by bus and didn’t know there was a bus until we told them. 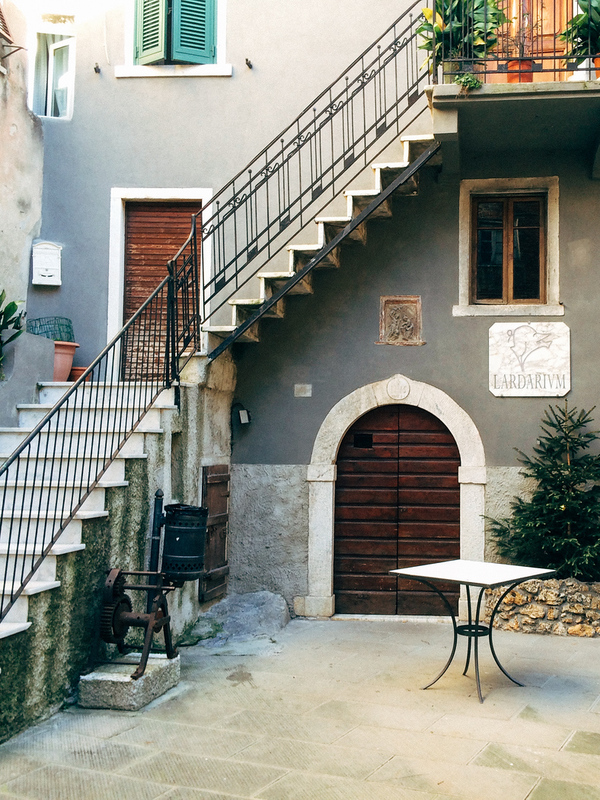 In fact, no one there had been to Colonnata even though it was only 8km away….oh Italy….We tried to rent a car but all the agencies were closed or didn’t speak English. Finally we went to a gas station and asked the non-English speaking attendant to call us a taxi. He didn’t know the number of a taxi but thankfully Google is a universal word so when Dave suggested it he knew what to do. The taxi cost us 35 Euro and was probably too much but we didn’t care, we needed to get to Colonnata. Luckily enough we seemed to get the only English speaking person we had encountered so far – his brother lives in Montreal! And while it was a bit pricey he made it worth our while by pointing out things along the way we never would have noticed and shared the history of Colonnata. Our driver was an amazing tour guide. As we rode up the winding mountain road we were thankful we didn’t drive as it was daunting with plenty of sharp turns, gigantic dump trucks and racing cars. Whatever method you take we highly recommend going to Colonnata, tomorrow we’ll share why Colonnata was a highlight of our trip! People, what a wonderful place! These photos are really beautiful! We drove from Massarosa when we were there in 2011, easy enough but the scary part was meeting marble trucks on the road. Glad you figured it out in the end.